Okay, I admit that the title of this post is largely symbolic. Perhaps entirely. But it is what sprang to mind as I was contemplating the past six weeks and the massive changes that are happening in our lives. In case you haven't noticed, we have been preparing to move to a little jungle village called Urubichá, populated by Guarayo people, to learn their language, plant a church, and do some Bible translation. As you can see from my previous posts, I spent a couple weeks working out there, prepping a house for us. How do you know what the will of God is for your life? How do you decide where to live? What job to take? What church to go to; which ministry to get involved in? What are the factors that you consider as you make decisions throughout your life? I am going to guess that most of you will answer with a combination of several factors that take your God-given abilities and desires into consideration, tempered by family needs. Bathe it in prayer and move forward, to see what God will do. It has been about 7 years that we have been formally on this road. Along the way, we have seen God lead, provide, and modify our plans. Although the magnitude seems much greater this time, He continues to show His faithfulness. We are not going to Urubichá. Frankly, I think the details are rather unimportant. Suffice it to say that, thanks to a lot of very difficult conversations with various coworkers, we now see that we should change direction, at least for now. I do find it very interesting that the latest post on my personal blog ties in so neatly. Little did I know at the time. . . This has not been an easy conclusion to come to. In fact, it is by far the hardest plan modification we have experienced yet, and is quite possibly the most difficult trial we have faced as a couple. The past few weeks have been full of a wide variety of emotions, tears, meetings, prayer, and Bible reading as we seek God's will. The big question is, "Now what?" We are still committed to making disciples. We still believe that reaching the unreached people groups of the world ought to be the Church's highest priority. We believe that God has brought us to Bolivia for a purpose. 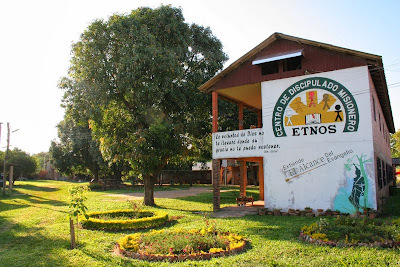 During this time of transition, we have been living in Santa Cruz, at a missionary training center called ETNOS. 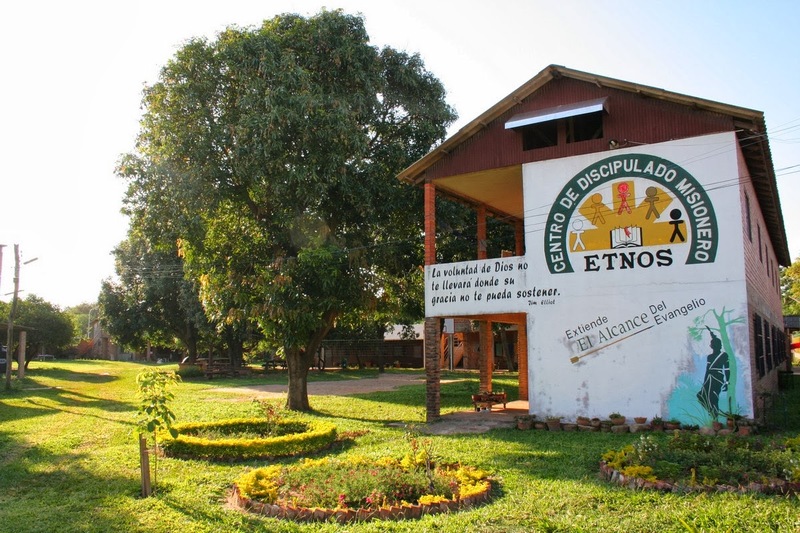 It exists to provide Bolivians and other South Americans the same type of cross-cultural ministry training that we received, equipping them to make disciples and plant churches in unreached ethnic groups. We already knew that they are short-handed and most of the staff wear at least two hats, so we asked the leadership team in which areas they were lacking. We want to use the gifts that God has given us, not seek just any slot to fill. A main part of the reason we were moving toward tribal ministry is that I have a love of language, teaching, and tinkering/fixing/building. The big question was if there was a place for me to fit into at ETNOS, with those skills? It "just so happens" that they have been trying to recruit someone to help teach the technical language-learning classes. They also need more help with the practical skills classes (how to "make do") and campus maintenance, particularly in the "fixit" department. Those areas are being filled by people that, if I stepped in, would have more time to focus on their other priorities. We see too that Kaylee's gifts will be more useful here, particularly hospitality. She would also be involved in discipling the female students, without needing to learn another language. This would give her more freedom to fulfill her responsibilities as a homeschooling mother and still have an involvement in ministry. After many conversations with the ETNOS staff and directors, as well as with our sending church, we have decided to jump back into academic life, on the other side of the coin. It is going to be a difficult transition in some ways, but we have peace in the decision and are confident that God will continue to direct us as we move forward. We would appreciate prayer as we make this transition. Que gozo haber encontrado esta pagina de ustedes Que bendicion!